Now that you have a clear picture of how your data will be organized, you can start building your app’s structure. You’ll start by creating tables and fields to house your data. When you’re done, you’ll have a basic database: the foundation of your custom app. When your tables and fields are in place, you’ll learn how to import Excel data into your new tables. FileMaker Pro Advanced is great at importing data from other sources. If your format isn’t supported, you can convert it to Excel or another supported format. Finally you’ll link your tables together by creating relationships. By themselves, tables aren’t much more powerful than spreadsheets, because you can only work with the data from one table at a time — but when you link your tables together, they become aware of each other’s data. After you relate tables together, you can see and understand the connections in your data. 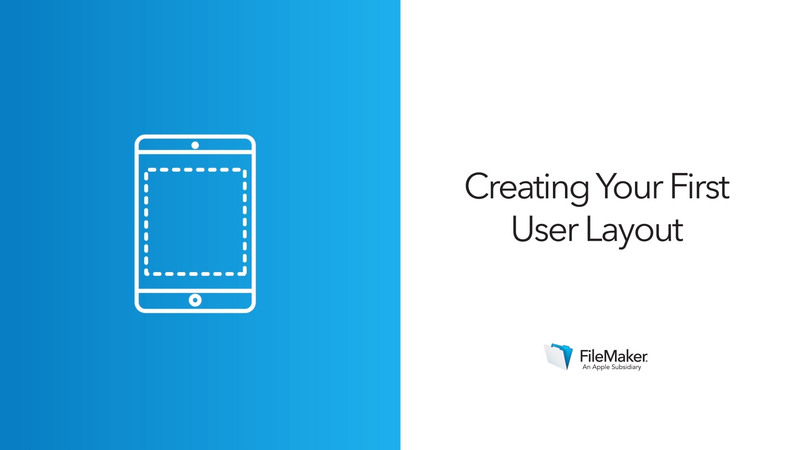 Your layouts are the face of your app! This is what your user will see and interact with. Layout setup tools give you a head start in creating interfaces that perfectly fit your users’ devices. Users’ eyes are trained to find misalignments, even if they aren’t conscious of them. The alignment tools demonstrated here make it easier to create professional-looking interfaces. 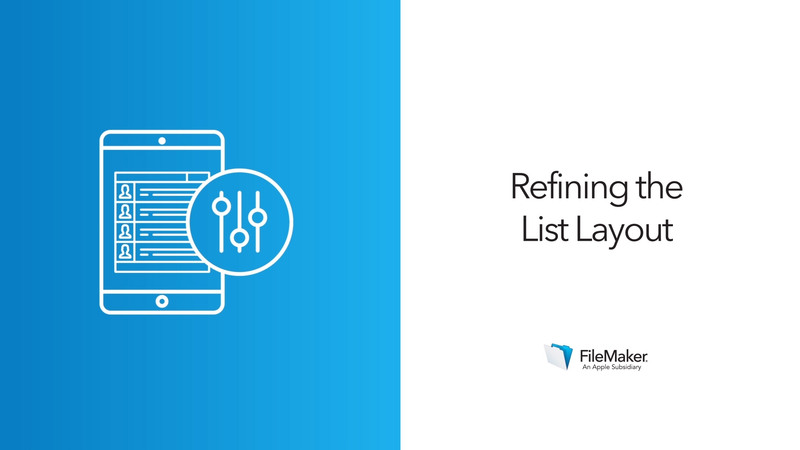 Learn the basics of layout setup by creating the Client List layout. Make adjustments to your new layout so it’s easier for users to see important information.